This is the full cask strength version of Laphroaig’s flagship 10-year. At 57.8% ABV and not chill-filtered, this is essentially the standard 10-year minus water, and without the chill-filtration. That means there’s nothing between you and the raw fury of Laphroaig peat. Beware! Note: This is a sample I saved from a friend’s bottle, so I don’t know which batch it was. Sorry! Nose: Unmistakable Laphroaig peat. Seaweed and salt seaspray, with dense, meaty woodsmoke, like a driftwood bonfire on the beach. At 57.8% ABV, it will crawl right up your nose if you get too close. Meat notes dance around the edge – like the charbroiled crust of a well-salted steak. Powerful and lean. Palate: At full proof, this stuff will take a layer of skin off of your tongue, and pour saltwater in the wound. Once your tongue gets good and numb from the punishment, you can taste, finally, the malty sweetness hidden beneath that fiery inferno of peat smoke. Finish: Super long. Meaty again, with crusty barbecued meat (minus the bbq sauce), smoldering campfire embers, and crispy dried seaweed (nori). Fades (amazingly) without bitterness. A welcome respite from the torrent of flame. 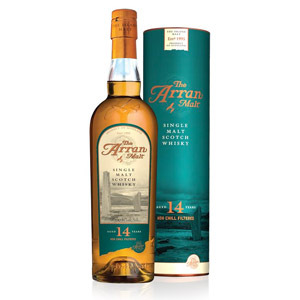 With Water: A healthy splash of water is almost required, as the malt is barely drinkable neat. Try to aim for a robust 50% ABV. At this point, the nose is more correctly balanced between woodsmoke, salt, and sweet cereals. Vanilla saltwater taffy emerges, and the finish acquires something minty. At even further dilution, look for some very faint fruit notes – strawberry or raspberry, and a more mossy, subdued peat. Overall: I only have a sample here, but if I had a full bottle I might view it as an Everest in my cabinet. I would rarely be in the mood to hike its treacherous peaks, but once in awhile the manly urge to conquer might rise in my chest and I might crack open the bottle to brave the frostbite and possible loss of life or limb that waits inside. Seriously though, this is a challenging whisky that should only be attempted once a healthy respect for both heavily peated Islay (try Laphroaig 10 first) AND cask strength single malt (try Aberlour abunadh first as well). Even when you’re ready for it, don’t be a hero. Put in some water. The heavily peated Laphroaig, pronouned “La-froyg”, was established on the southern coast of Islay in the mid 1820s. Laphroaig’s medicinal, seaweedy, ‘iodine’ flavors may be derived from its local, hand-cut peat, which is used to dry malt in its own floor maltings. The local peat is more fibrous than peat used by the Port Ellen Maltings on Islay, where other Islay distilleries source their peat. Laphroaig does source 80% or more of its malt from Port Ellen, since the maltings are too small to meet all of the distillery’s demand. Process water flows via a burn from the Sholum Lochs and collects in the Kilbride Dam. The water is highly acidic, but soft. The whisky is matured on-site, mostly in ex-bourbon casks from Maker’s Mark, in both dunnage and rack warehouses. Acquired: Sample from a friend's bottle. 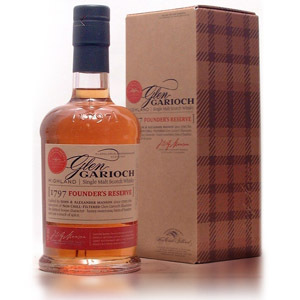 According to whiskybase, 57.8% translates to batch #001. 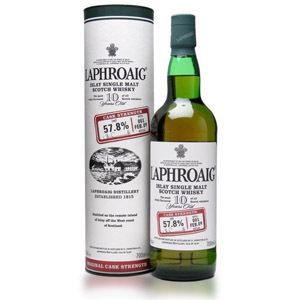 I purchased a bottle of Laphroaig 10 CS b#005 on sale awhile ago ($49! ), but have been too distracted by the Lagavulin 12 2012 edition I’ve been enjoying. Now that I’m on the last few ounces of that, it might be time to do a side by side conparison. This one looks great! I enjoyed the classic version of 10yo, but the 40% abv, in my opinion, are not enough, and result in a watery body that didn’t match with the power of peat smoke. This one might be the answer, but as you said, cask strength demands practice to be enjoyed. I’ll get some training with A’Bunadh before challenging this guy! Ironically, I can usually find this for within a few dollars (or even dead even) with the standard 10, which makes it a great value. 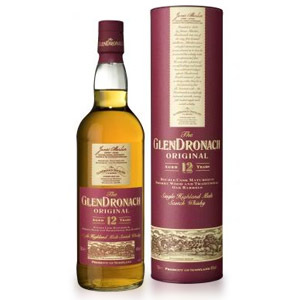 I have also found the relatively small premium from the standard 10 to the Cask Strength to be well worth it. At first I thought it was just Lag 10 with more alcohol, but after more tastings the intensity continues to impress – and my wallet feels better drinking this rather than the very impressive but overpriced Lagavulin 12. I had a taste of it once: //scotchnoob.com/2011/08/02/laphroaig-18/ but haven’t ever bought a bottle or done a true tasting. My understanding is that Laphroaig has run out of older barrels and is discontinuing the 18 year “for now”, until demand dies down and they can start aging more whisky. Wish I had read your review first. I bought this from Costco a few days ago – I’ve liked most of their spirit offerings, so thought I’d like this, to! Cripes! Just opening the bottle was an assault of freshly creosoted telephone poles. After a small sip, it was recorked and returned to Costco. It was the worst stuff I’ve ever tasted. Your initial recommendation of a Balvenie Double wood for me started this journey, and I’ve grown to prefer it to wine! Have tried many iterations of scotch, bourbon, rye, and whiskey, and all have been good or acceptable. This particular scotch was too much! Guess I’m still not old enough at 69! Anyway I traded it for the Costco bourbon and am, once again, enjoying and ounce before dinner! Enjoy your site! Still can’t get your dad to try any. I finally found a bottle of the Laphroaig cask strength this last weekend while staying in Albuquerque. Tried it neat first and then added a bit of water. I liked it better without the water. It seemed like it lost some of its flavor profile when it was added. It did however bring the sting out of the nose somewhat. All I can say is Wow! You just have to sip it sparingly and let it roll from the front of your tongue to the back and enjoy it. 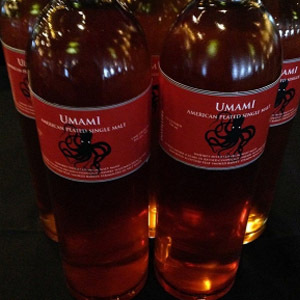 It has a surprising sweetness and a wonderful long smoky finish. Not an everyday dram but I think its my favorite Islay scotch now. My local liquor store has all three 10 year old Laphroaigs on for under $40! This is my first time trying any Laphroaig as I generally prefer the less peated Speyside and Highland whiskys. Laphroaig 10 year old Cask Strength is a pleaser! SR is right about water diluting the flavor profile. 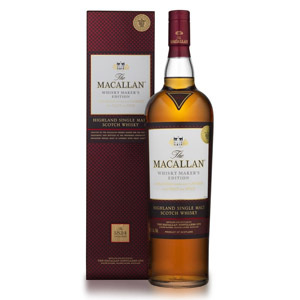 I purchased this bottle because it is a non chill filtered full cask strength whisky. Seems wrong to add water anyway. I recommend this Scotch be sipped on occasion. If you enjoy unique whiskys and trying something new then Laphroaig Cask Strength is for you. If you’re looking for something polite and easygoing to guzzle down on a regular basis then i reccomend looking elsewhere. My bottle is batch 006 and was bottled in Febuarary 2014. I’ve wanted to try this for a while now, sadly the price and availability in Europe is pretty ridiculous. Batch 009 is out now, but it costs about the same as three bottles of either the standard 10 year old or Quarter Cask.